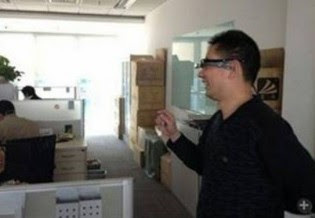 Chinese search giant Baidu has confirmed rumors that it is developing a Google Glass like wearable technology product that is initially code-named ‘Baidu Eye’, but has stressed that no consumer launch is planned as yet. Testing of a prototype has reportedly already begun. According to the Sina Tech article, Baidu Eye has been in development for “several years” by a team under the direction of Baidu’s chief product designer Sun Yun-feng. The wearable gadget is equipped with tiny LCDs, voice control, image recognition, bone conduction (which allows sound to be conducted to the inner ear through the bones of the skull), and can also function as a standard pair of eyeglasses. Furthermore, developers will reportedly have access to Baidu’s cloud ecosystem to create apps for Baidu Eye. News Web site QQ.com also reported that Baidu has been working with Qualcomm to develop technology that will extend Baidu Eye’s battery life to 12 hours.If Baidu Eye does indeed hit the market, it can offer Baidu a big boost as it seeks to diversify its business away from online search. Though Baidu still holds about a 70 percent share of China’s online search market, it faces competition in that arena from upstarts like Qihoo.